Obviously Martin Linton is defending his seat and Jane Ellison hoping to take it, but there are plenty of others looking forward to their moment of fame as also-rans. I’ve already highlighted the independent Tom Fox, Green Guy Evans and Liberal Democrat Layla Moran. There is also another Independent – albeit one with his own party – Hugh Salmon who is standing for the ‘Hugh Salmon for Battersea’ party, largely on a platform of supporting the neighbourhood schools campaign, which has already got support from both major parties. Finally, they are joined by David “The Priest” Priestly, of the Official Monster Raving Loony Party (at least according to the party’s website). By my reckoning there are now nine candidates – more than I can ever remember in Battersea, and if we’re honest, seven more than necessary in a straighforward two-way marginal. Tom Fox is James Fox’s son! We have none of this glamour in the Tooting race. I’m not sure is that really counts as glamour. Although, for politics, I suppose it’s as close as it gets. 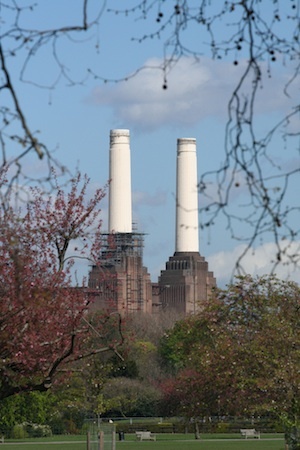 Hugh Salmon also has another recycled idea; getting places in Clapham Junction to change their name to Battersea. Didn’t Councillor Beddows have a similar campaign called “Love Battersea”? Although the campaign was never political and I’m sure he’d be delighted for everyone to take up arms against creeping Claphamism.